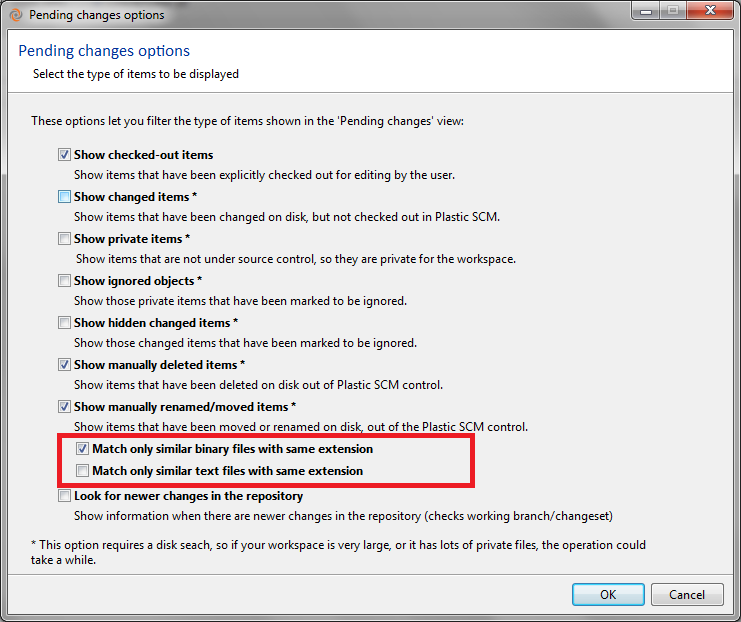 Plastic SCM blog: Plastic SCM 4.1.10.376 Release is out!! Plastic SCM 4.1.10.376 Release is out!! 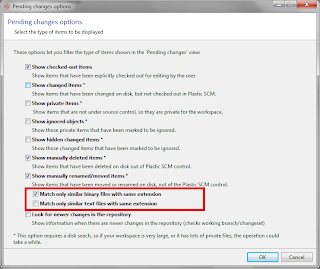 A new release of the 4.1 version is out: Plastic SCM 4.1.10.354!!! Besides the full release notes, this blog post will highlight some of the new features. Just in case you haven't downloaded this version yet, you can do that here. Now, the move search by similar content can be restricted to the same file extension for text files, binary files or both. By default, the binary files are restricted to process only the files with same extension. --txtsameext: Only those text files that have the same extension will be taken into account by the similarity content matching process during the moved items search. By default any text file will be processed. --binanyext: Any binary file will be taken into account by the similarity content matching process during the moved items search. By default, only those binary files that have the same extension will be processed. On Branch Explorer View, navigation keys did not work properly when the "Display only relevant changesets" option was enabled. Fixed. The repository description has been removed so it was pointless. When downloading raw data of a .zip or .dll file, the name suggested by the Internet browser was "Raw" instead of the item name. Fixed: the name was only set if the content type was octet-stream, which was not correct.